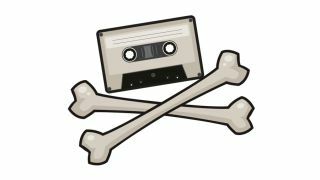 Ofcom's 'three strikes' piracy policy will roll into action in 2014 (a little later than anticipated) as plans for how the scheme will work are revealed. Known as the DEA Initial Obligations Code, Ofcom's plan is for ISPs to send letters out to customers whose internet connections have been used to access pirated content. Ofcom wants the letters to remind people of how to secure their networks and where to find legit films, music and other content as well as warn against legal action. If you receive three or more letters in a year, your information may be passed on to rights holders which may take you to court for copyright infringement. Ofcom says the code is intended to help safeguard creative content as well as treating internet users fairly. Claudio Pollack, Ofcom's consumer group director, promises "a fair appeals process" and that "rights holders' investigations…are rigorous and transparent". As part of the Digital Economy Act, the plans were always going to come under scrutiny and there are some question marks over how it will work. For example, there isn't going to be a fixed standard of evidence required before a letter will be sent out – although Ofcom will approve all evidence rather than leaving it solely to the rights holders. If you feel you've been wrongly accused of file sharing then it will cost you £20 to appeal and you must do so within 20 working days. What's more, cafes, libraries, hotels and bars offering Wi-Fi to their customers will have to appeal each accusation levelled against them – something that could prove costly to small businesses at £20 a pop. The Open Rights Group is unimpressed, with Jim Killock saying, "Ofcom are being asked to put lipstick on a pig with this code." He added, "Digital revenues are going up, the music and film industry are moving in the right direction, yet this cumbersome policy is still lumbering forward." Citing the appeals policy, he added, "Some people will almost certainly end up in court having done nothing wrong." Rights holders are a little bit more positive about the whole thing. Geoff Taylor, CEO of the British Phonographic Industry (BPI), said, "It's time to get down to business and start implementing the law to educate consumers about illegal downloading, so that artists and creators are fairly rewarded for their hard work." Which is all well and good but there hasn't been anything stopping rights holders doing a spot of non-law-requiring education. The draft code, which is available for review until July 26, will have to be sent before the European Commission before Parliament receives it towards the end of 2012; pending any delays or major objections, the first letters should go out in 2014.